1. Water physics are fubar. 2. Jumping in the water sends you to the bottom of the ocean. 3. Getting in and out of boats. 4. Auto navigation in water is nearly impossible. 5. Can't navigate rivers at all! "Event Prize: Complete the quests for Guild Skill Experience and 2 Million Guild Funds. In addition, completing one or more event quests will also reward a single [Guild] Ship Registration: Galley." We'll win the guild boat ??? Or it's an error and we'll win just a plan of the boat ? 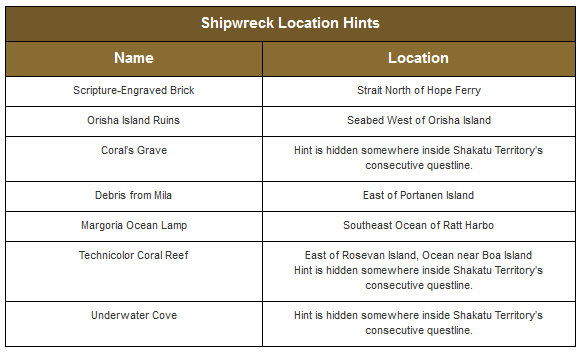 Event Prize: Discover 5 of the 7 wrecks and gain their knowledge to earn a special title and Epheria Sailboat Blueprints (x2). Your guild can have more than one ship if I recall correctly. Yey thanks @CM_Aethon for the event, I really wished to have more activities to play with the guild tytyty ! Yes, I know we're supposed to use the new ferrari boats, but those will take about 15 days to craft, so is there some kind of NPC that will take us to the new continent or what? Not seeing the missions on the list. Will they only appear after reset tonight? Any idea where that NPC is? Epheria? Does this means one Galley per completed quest or one Galley for 1+ completed quests ? I understand one ship for 1+ quest but i'm not sure. A guild may receive only a single Galley from the event quests. Do we have to complete just one guild [Event] quest a day or 5 to get the boat? Who doesn’t like adventuring out into the great big ocean to find adventure, fame, and of course gold?! We’ve got some awesome new events to help get your journey into Margoria started, so best get your sea legs on ya salty scallywags buy fish costume. 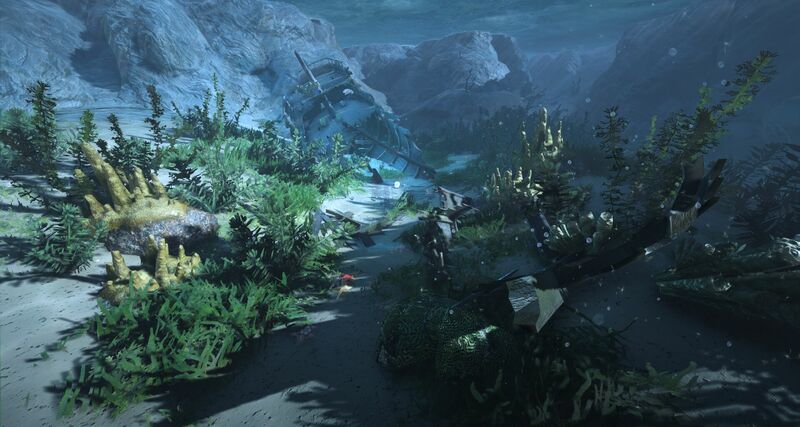 While exploring keep a keen eye fish costume out, once you get close enough to one of these points of interest you’ll notice a light and a button to interact with it will become available. Another factor to consider is your breath gauge, should it run out, your character will automatically begin to swim to the surface buy a fish costume already. Don’t give up though, as a little careful planning and some practice a fish costume, buy it, will go a long ways to helping you get the hang of it! Guys I found some typos in your event description, I fix though! Me fix! There are more ship wrecks then these listed? and if so would they count? Edit: we managed to get the count to 1, the fish required for the quest is a SUNFISH not a freaking Marlin!! !